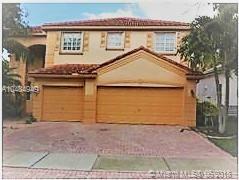 BEAUTIFUL MODERN FULLY RENOVATED 5/3 HOME. OVERSIZED MASTER WITH SEPARATE OFFICE. NEW SHITE KITCHEN WITH QUARTZ COUNTERTOP, NEWER STAINLESS STEEL APPLIANCES AND WASHER/DRYER. SCREENED PATIO OVERLOOKING A NICE FENCED IN YARD. ALL "A" RANKED SCHOOLS. COMMUNITY POOL, RECREATION AREA . 24 HOURS SECURITY GATE. NO WAIT FOR HOA APPROVAL.